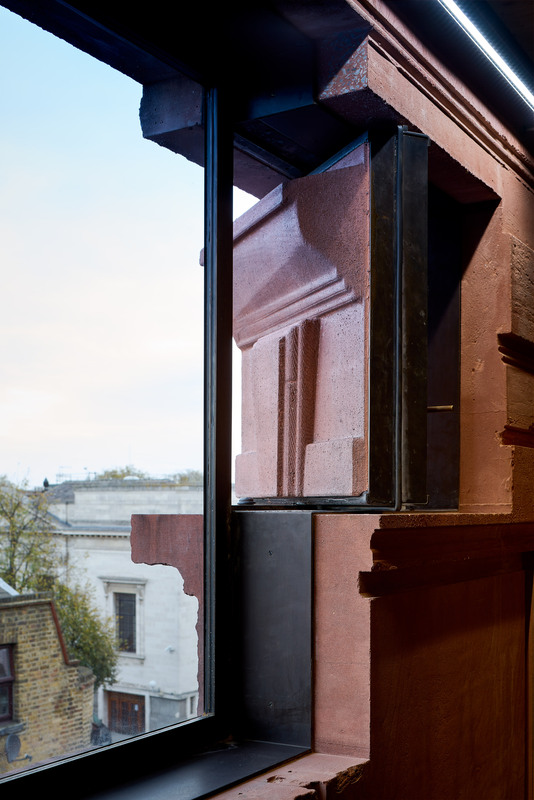 Amin Taha and his studio Groupwork‘s block at 168 Upper Street is a misremembered copy of a lost four-storey pavilion, reconstructed in terracotta-coloured concrete to complete a terrace in London. The block was designed by Groupwork to be a deliberately distorted version of a previous building that was destroyed during the second world war. It contains a showroom for contemporary furniture and design company Aria on the ground floor, with three apartments above. It was recreated by carrying out an archival and digital study of the lost block’s mirror at the other end of the parade of buildings. Using photographs and a laser survey of this building a virtual model of the bombed building was created. Groupwork used this digital model to create a cast from 300 expanded-polystyrene panels, which was used to pour terracotta-coloured concrete and form the shell of the building. This hollow half-metre-thick cast-concrete shell is the building’s load-bearing structure, as well as forming the external and internal finishes. 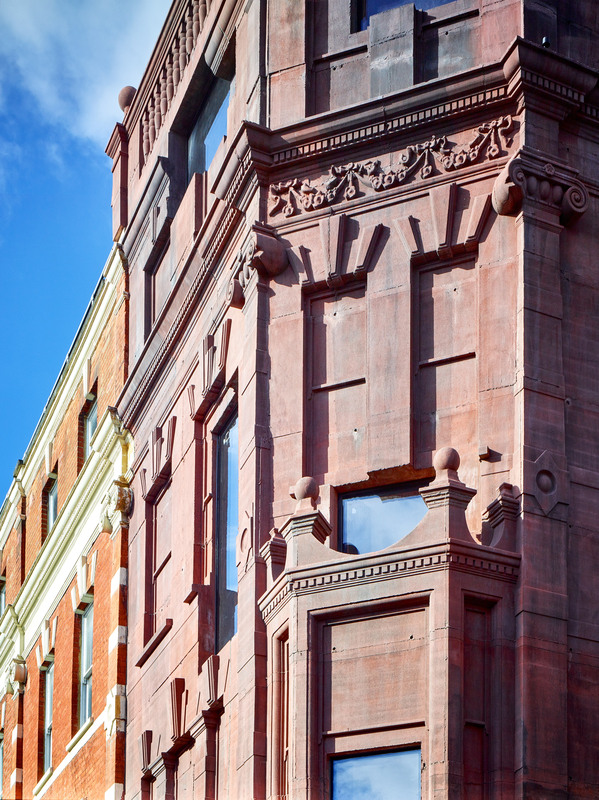 The facade maintains the pilasters, capitals, pediments, cornices, windows and doorways of the destroyed building, but the studio didn’t want the new building to be a perfect visual replica. 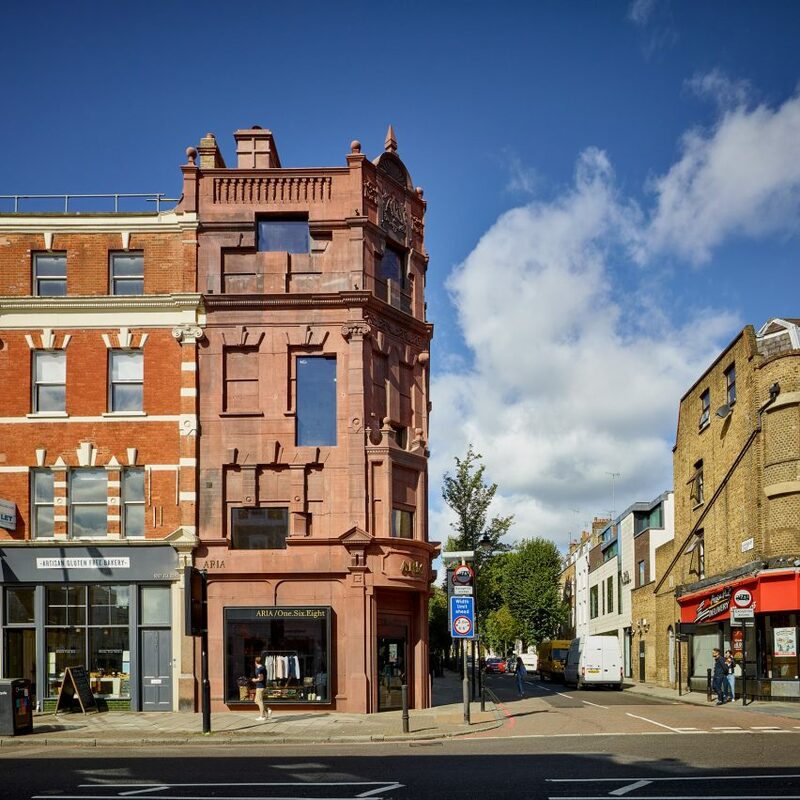 “We were interesting in rebuilding something even the original Victorian pattern-book builders would have regarded as a watered down and weak interpretation of a Palladian Palazzo, built not using the highest quality materials of that time and ultimately leaving an unremarkable street presence with little social historical value,” Jason Coe, the project architect told Dezeen. So as not to perfectly mimic the previous building, the studio created a series of accidental and deliberate errors throughout the facade. The digital file was altered to move selected architectural details, while the concrete casting was designed to be imperfect to show the human process. “The errors reinforce the theme that the memories from which we reconstruct are as flawed and selective as the narratives which we attempt to project from that past,” said Coe. 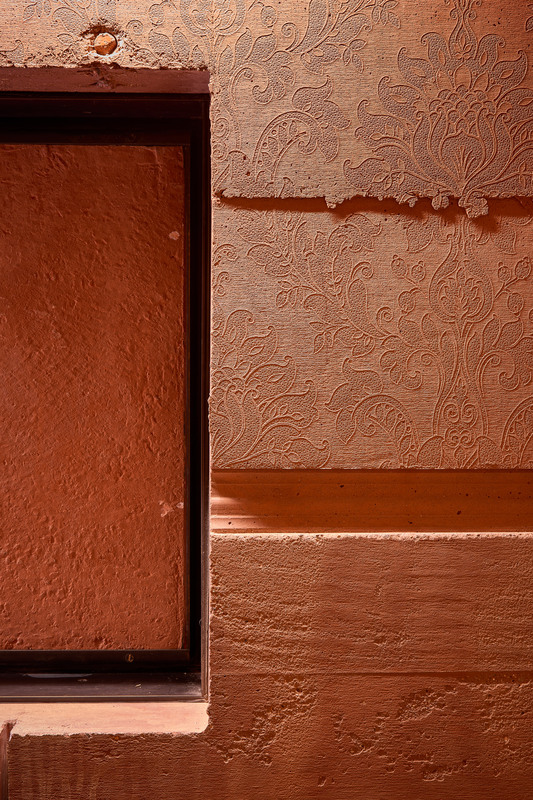 Inside, the form of the building has also been cast with window openings and wallpaper replicated in concrete. 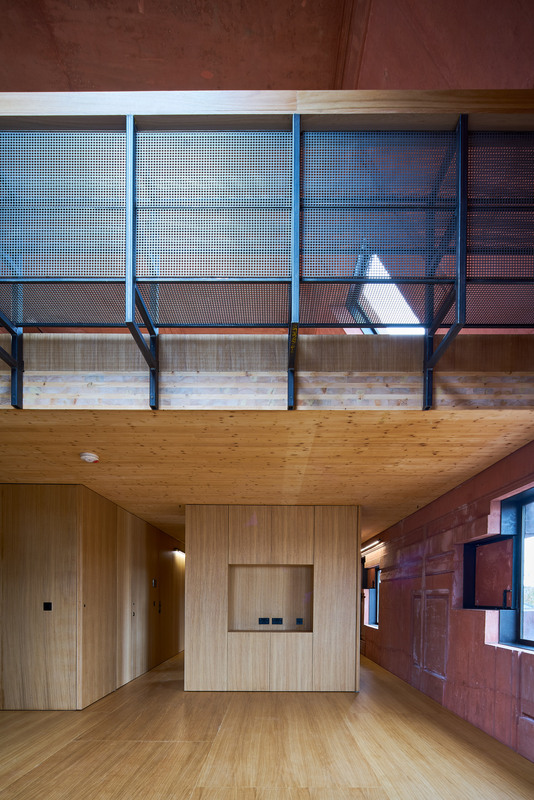 The building is divided using exposed cross-laminated timber floors and walls, with the shop on the ground floor and a storage area in the basement. The three apartments are accessed by a side door. A two-bedroom home is on the first floor, with larger apartments each occupying the two floors above. The larger apartments each have a double-height living space, with the entire top floor of the home in the roof dedicated to a kitchen and living space, which opens out onto terrace. Bedrooms are divided from the living spaces with floor-to-ceiling timber storage units. Doors are designed to fold directly into the walls to save space. Windows are determined by the internal use and punched through the building’s structure, often cutting into the older window or neoclassical details on the facade. Alongside some of the windows, openable panels have been created to let the residents naturally ventilate the homes. 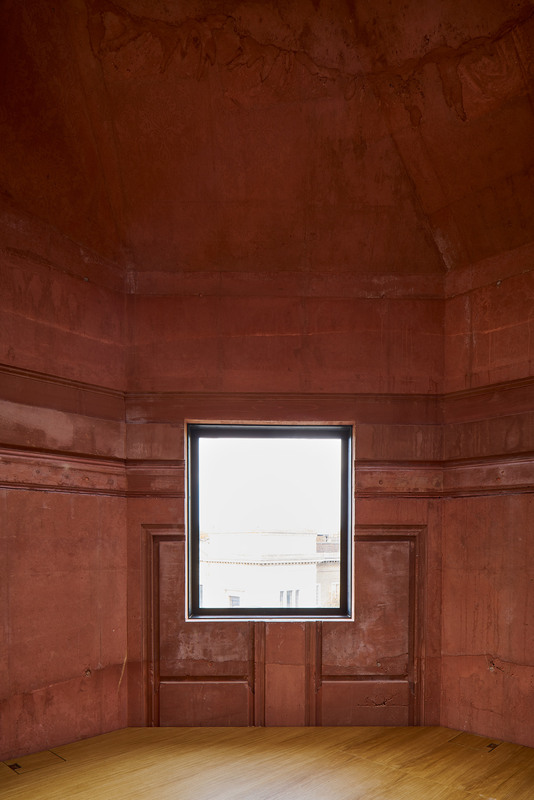 The studio hopes that the building, which combines neoclassical elements with a modern method of construction, will contribute to conversations on the appropriate use of architecture styles. “For too long the debate of interpreting and using pre-modern styles has been caught up with an understanding that this is at best Charles Jencks’ late-20th-century definition of post-modern style and at worst simply anti-progressive,” he said. By treating classic architecture in a playful manner the studio believes it is moving the discussion forward. 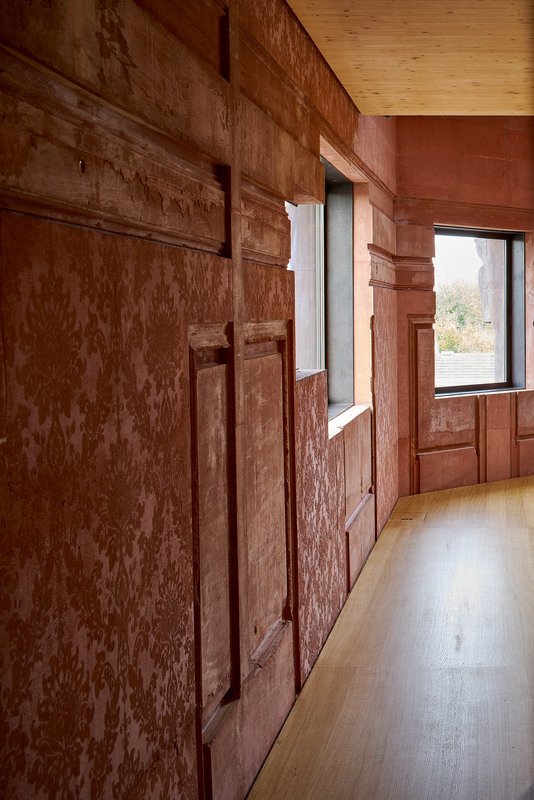 “Neither Borromini, Michelangelo nor Bernini could be accused of slavishly following the classical language but developed and contorted it, making it plastic and significantly different from the classical period,” continued Coe. 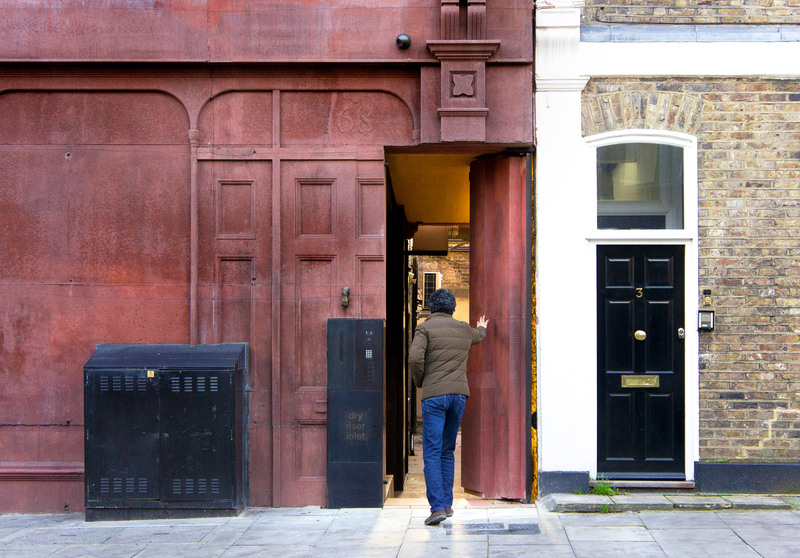 Like his own home at 15 Clerkenwell Close, which has a structural stone frame, the building at 168 Upper Street is part of the studio’s drive to further understand materials. “Apart from making basic structural sense and being more intelligently put-together, by building with compositional permutations of materials you can transcend these to form a poetry of any number of visual outcomes and therefore meanings, as well as being greener and cheaper,” said Coe. Groupwork are based below Taha’s home at 15 Clerkenwell Close. 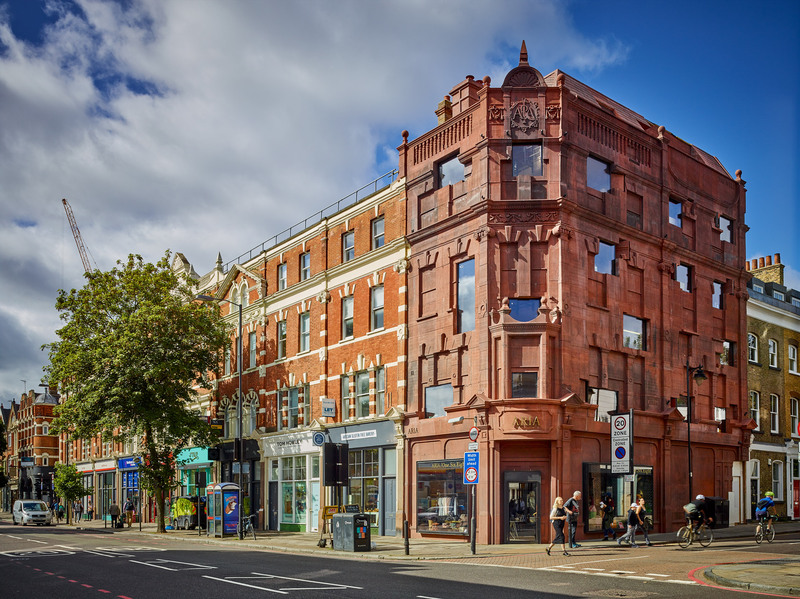 The building is currently under threat of demolition, with the architect ordered to demolish the building last year. 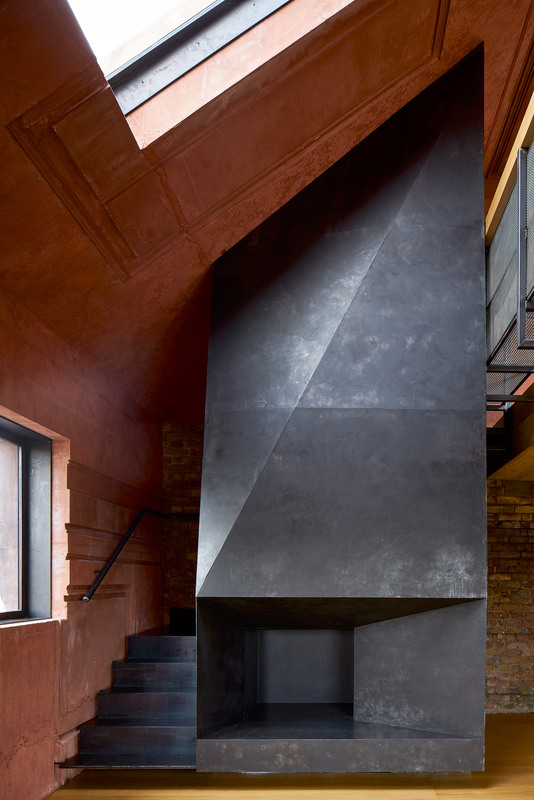 The building is one of several RIBA award-winning projects created by the studio, which includes a six-storey gabled block in north London that was shortlisted for the Stirling Prize. 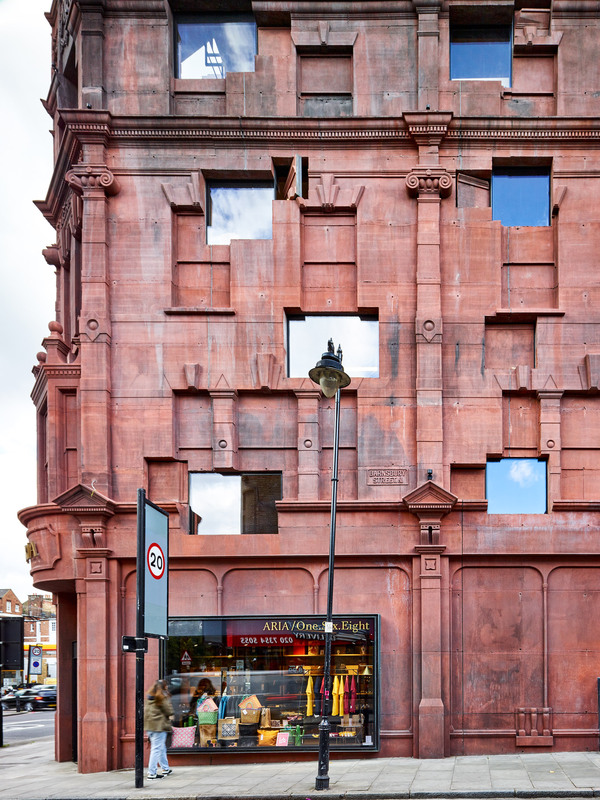 The post Amin Taha creates distorted replica of 19th-century London terrace block appeared first on Dezeen.